The bill, which was authored by another Democrat — state Sen. John Milkovich — was signed by the governor Wednesday afternoon. The legislation creates criminal penalties for anyone performing an abortion beyond 15 weeks. Mothers of unborn babies would not be charged. “The farther along the pregnancies the more risks to the mother and the more tortuous it is for the babies,” Milkovich said during hearings on the bill, reports The News-Star. The measure passed overwhelmingly in both chambers of the Louisiana state legislature, 70-9 in the state House and 24-1 in the state Senate. In March, Mississippi became the first state to ban all abortions past the 15th week. The state’s only abortion clinic immediately challenged the law in court, and a federal judge granted a temporary restraining order to keep it from going into effect. The Louisiana law will go into effect if the Mississippi law is upheld by the courts. In May, Iowa Gov. Kim Reynolds signed a bill into law that bans most abortions once a fetal heartbeat can be detected. Planned Parenthood and the ACLU filed a lawsuit against the state over the legislation. A group known as Lift Louisiana is launching a social media campaign against the law, claiming it prevents women from accessing abortion. 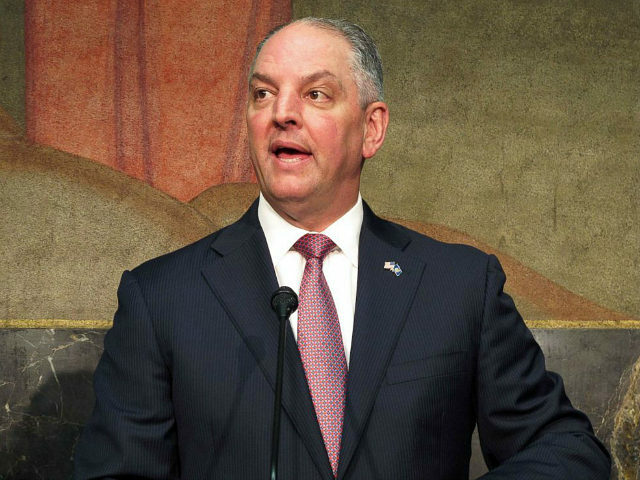 Marjorie Dannenfelser, president of the pro-life Susan B. Anthony List, however, said all the pro-life lawmakers in Louisiana — especially pro-life Democrats such as Edwards and Milkovich — should be applauded for passing the measure.